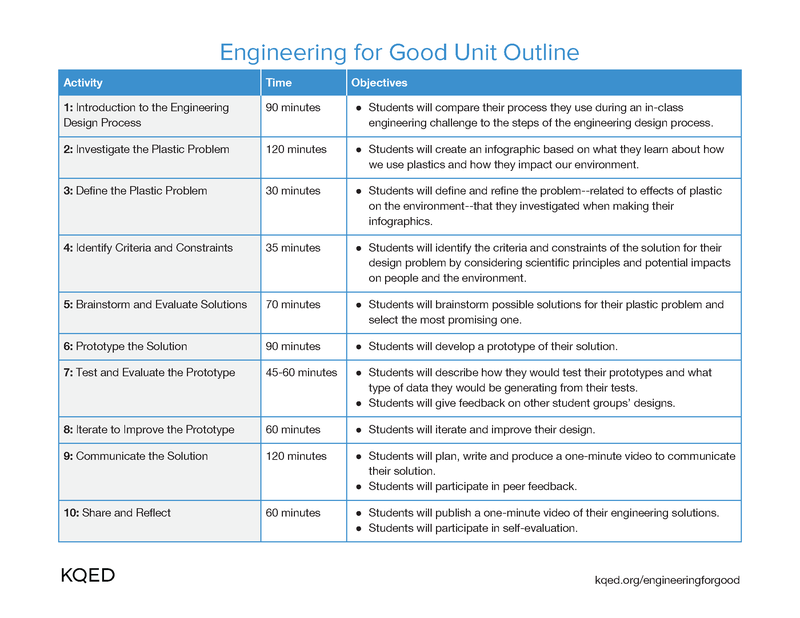 Engineering for Good is a three-week, project-based learning unit for middle school science classrooms focused on developing solutions for negative impacts of plastics on the environment. In this NGSS-aligned unit, students use the engineering design process to define a problem, brainstorm solutions, develop prototypes and iterate on their designs. The project culminates with students producing videos about their solutions to share with the community.